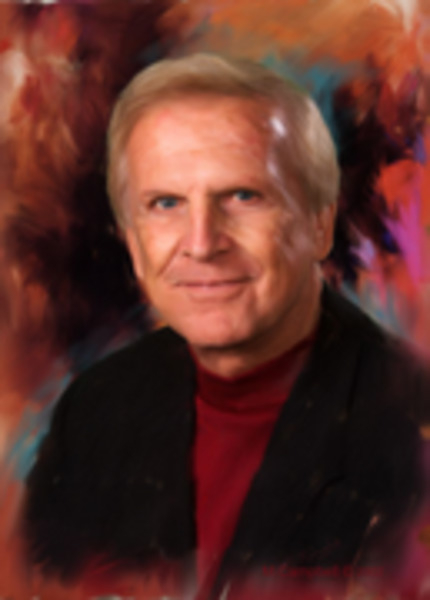 Denis Waitley, Ph.D., is one of America's most respected authors, keynote lecturers, and productivity consultants on high performance human achievement. He has inspired, informed, challenged and entertained audiences for over 25 years from the board rooms of multi-national corporations to the control rooms of NASA's space program; from the locker rooms of world-class athletes to the meeting rooms of thousands of conventioneers throughout the world. Recently, he was voted business speaker of the year by the Sales and Marketing Executives' Association and by Toastmasters' International and inducted into the International Speakers' Hall of Fame. With over 10 million audio programs sold in 14 languages, Denis Waitley is the most listened-to voice on personal and career success. He is the author of 12 non-fiction books, including several international best sellers, "Seeds of Greatness," "Being the Best," "The Winner's Edge," "The Joy of Working," and "Empires of the Mind." His audio album, "The Psychology of Winning," is the all-time best selling program on self-mastery. Dr. Waitley has counseled winners in every field from Apollo astronauts to Superbowl champions, from sales achievers to government leaders and youth groups. During the past decade, he served as Chairman of Psychology on the U. S. Olympic Committee's Sports Medicine Council, responsible for performance enhancement of all U. S. Olympic athletes. Dr. Waitley is a founding director of the National Council on Self-Esteem and the President's Council on Vocational Education, and recently received the "Youth Flame Award" from the National Council on Youth Leadership for his outstanding contribution to high school youth leadership. As president of the International Society for Advanced Education, inspired by Dr. Jonas Salk, he counseled returning POWs from Viet Nam and conducted simulation and stress management seminars for Apollo astronauts. A graduate of the U. S. Naval Academy at Annapolis, and former Navy pilot, Dr. Waitley holds a doctorate degree in human behavior. Based upon his all-time best-selling program on professional excellence, Dr. Waitley presents a new set of self-management strategies for the new millennium. Similar to the message he developed for Olympic athletes for the Sydney 2000 Games, this exciting program is designed to convert employees into entrepreneurs and managers into coaches. The focus is on becoming self-directed free agents who are team players, in a world where change is the rule. In a global marketplace where change is accelerating in fast forward, everyone must be a leader or fall hopelessly behind. The new leadership profile emerges: Visionary, Inspiring, Adaptable, Subordinating ego, Abandoning assumptions, Role model and Mentor with total integrity. How to move from Command and Control to Autonomy and Empowerment -- the best-kept secrets of success as a 21st Century leader and entrepreneur. Twenty-one action steps for the twenty-first century executive. How to out-think, out-perform, and out-last the competition. A check-off list and wake-up call to motivate employees to think and act like entrepreneurs in their own organization. Why it is critical to do more than assigned and to chase your passion, not your pension! How to plant the seeds of greatness in yourself, your associates, and your family. Focuses on human capital as the most important resource in any organization. Why knowledge is the new power and lifelong learning should be a core value of every individual. Unless you're online, you'll be in some kind of breadline. Unless you are networking, you may be NOT working. The shelf-life of formal education is less than 18 months. Every 5 minutes, a new technological marvel is announced that makes yesterday's practices obsolete. How to think like a high-tech research firm and act like a high-touch service firm.